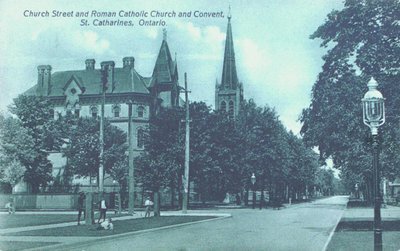 A postcard of St. Catherine's Roman Catholic Church and Convent, St. Catharines, Ontario. Date Unknown. Published by F.H. Leslie, Niagara Falls.